Catch the Block By Block team at these neighborhood art parties this summer! Join the Crocker Art Museum's Block By Block team for art, community, activism, fun, and more, this summer across the Sacramento area! Join the Crocker Art Museum along with Sacramento Vice Mayor Rick Jennings, Assemblymember Cooper, Common Ground Church, Health Education Council, Promise Land Ministries, Valley High School, Mack Road Partnership, Valley Hi residents, families and friends in honoring the legacy of James Shabazz. 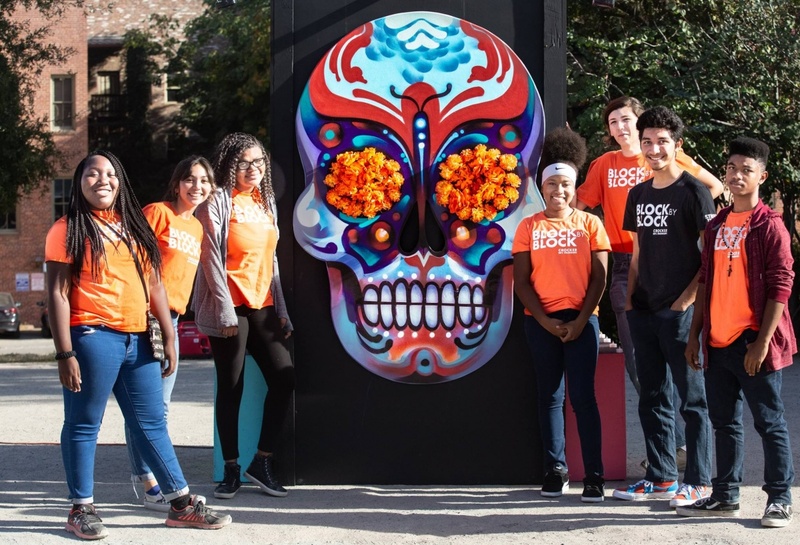 Start with exercise and fellowship with Walk With Friends and music by BTU Arts, followed by a bench dedication with artwork by local youth, we will also have a pop up art-making and more! Sacramento Earth Day is all about building community and finding ways to help residents of the Greater Sacramento Region reduce their ecological footprint. Attend the Earth Day festival and learn how to live more sustainably; you’ll also find a variety of fun activities to enjoy for the whole family, including live music, art activities by the Crocker Art Museum, interactive educational games, a kids’ area, several food vendors serving a range of plant-based (vegan) cuisine options, electric vehicles and even valet parking for your bicycle. This is the largest Earth Day celebration in the Sacramento region, and admission is free! The Block by Block Street Team will host pop up art-making activities and an interactive space with live painting to mark the farmers market's 10 year anniversary. In addition to food vendors, the market also provides a variety of interactive activities each week, including live music from local bands, activities for children (story-telling, face painting), information and giveaways. Knock your baseball afternoon out of the park with an art making activity at this exciting River Cats vs. Reno Aces game! Find more information and tickets on the River Cats website here. Stay tuned for more information about this community festival at William Lee College Prep Fortune School, where Block by Block will have a pop up space offering art making and interactive activities. Show your pride and get decked out for the parade with your Crocker friends. Block by Block will host activities in Crocker Park and then march together to the Capitol. Find more information about ways to participate here. Stay tuned for more information about this pop up event with live entertainment, art making, and vendors. Come to the Crocker and enjoy the full Museum experience during this Pay What You Wish Sunday, sponsored by Western Health Advantage. Block by Block will highlight two Sacramento city council districts and provide art making and entertainment in addition to free access to all of the Museum's galleries and interactive Art Spots for children. This pop up will take place during the summer program at the Fruitridge Community Collaborative. There will be art making, live painting, and community resources.